Yes we ship to Worldwide!! Shipping Rates Shipping fees will vary by destination. WE offer combined shipping, you can see the shipping fees instantly in the shipping cart by clicking "estimate shipping & tax" icon. Neighbourhood Asian Country can enjoy a reatlively low shipping. We are not responsible for any customs or import duties that may be requested in order for you to receive your package. These are charged once the parcel reaches its destination country. These charges must be paid by the recipient of the parcel. Please note, we cannot control these charges, and cannot tell you what the cost would be, as customs policies and import duties vary widely from country to country. It is useful to contact your local customs office for current charges before you order to get an idea of the costs that may be incurred. What shipping method do you offers? Currently, all orders will be shipped via Registered Airmail or EMS offered by Hong Kong Post Office. This is our default shipping methold. 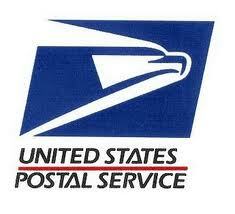 Airmail Parcel is available to all countries and area. It takes about 7-14days to reach you depends on your location. Tracking number is enclosed but online checking is not available. Please aware that slightly delay could be happened due to different factors such as custom inspection. No worries from our previous experience over 99% of the Parcel arrived in a timely manner. EMS is available to most countries. It usually takes 3 to 5 days to reach you depends on your location. Online tracking is available at your local post office website. We recommend this shipping method as it is quick and prevent any unlikely event of loss or damage during delivery from Hong Kong to overseas. Delivery time depends on your selection of methods.